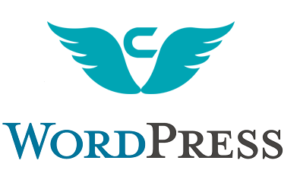 WordPress is a free and open source Content Management System (CMS) which is based on PHP and MYSQL. WordPress has become one of the most popular and easiest to use website management system nowadays. WordPress CMS have made life easier to conduct the business and it has got lot of benefits. WordPress has got thousands of themes and plugins to work upon. 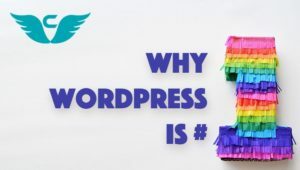 WordPress is a very cost effective content management system to use as the features in WordPress are free to use or are very cheap to purchase. WordPress themes are very easy to use and do not require prior web design knowledge or skills to use it fully or properly, it only requires little knowledge to work upon or manage. Administrator does not require any help of the web designer to add pages or blog posts they can do it themselves as it is easy to use. WordPress has got an advantage to customize its designs and features. It can be customized in innumerable ways like video galleries, calendars and social feeds can be added to a WordPress website with the help of plugins. WordPress has an excellent quality that it can be assessed anywhere as long as the user has the access to internet. The website can be managed and updated anywhere at any time. This is really good for the business especially for the Start-Ups and small businesses who require only a simple site and basic features to begin with. WordPress is really flexible and portable to use which means you are not tied with a particular CMS. There will be someone around the world to develop your website further. WordPress is a great content management system which is flexible for the web designers, web developers and the clients to use. WordPress also works well with the Search Engine Optimization example can be Studio Press Genesis which offers excellent search engines, social networking performance and social media integration. WordPress therefore is very easy to use and manage and can be used anywhere around the world as long as it is assessed to internet. Try our wordpress development experts to know more! This entry was posted in Wordpress and tagged WordPress Company India on July 25, 2017 by Codeflies.